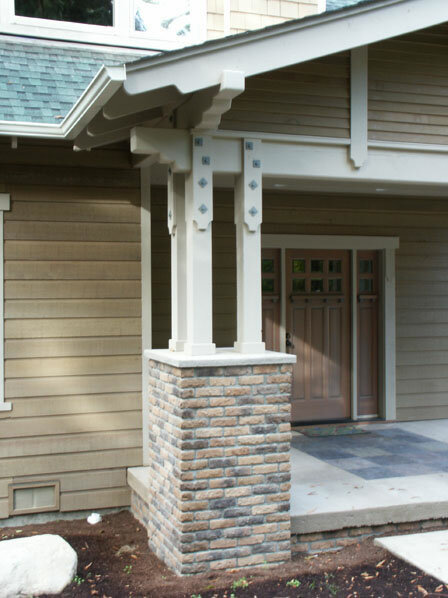 The wide front porch is framed by posts atop stone veneered columns, and is covered to provide protection from rain and sun. 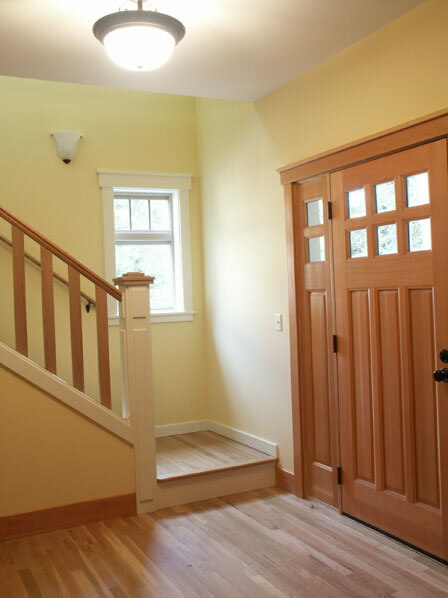 The foyer has a stairwell to the right, a coat closet, and a powder room. 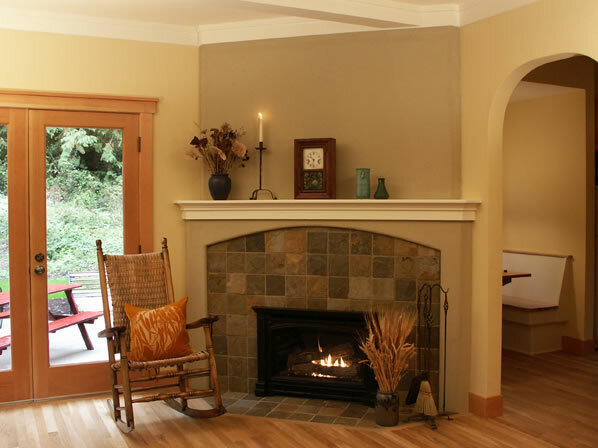 The living room has a pair of glazed doors leading to the side yard, and a fireplace hearth in one corner. 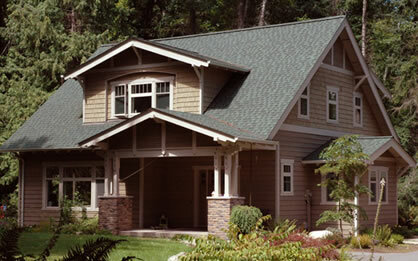 Three large windows face toward the front of the house, providing views and lots of sunlight. A wall with built–in cabinetry divides the living room from the kitchen and dining area. The kitchen has a large island with a raised eating or serving counter that separates it from the dining room, a good sized pantry, and a lovely built–in breakfast nook with a view to the outdoors. 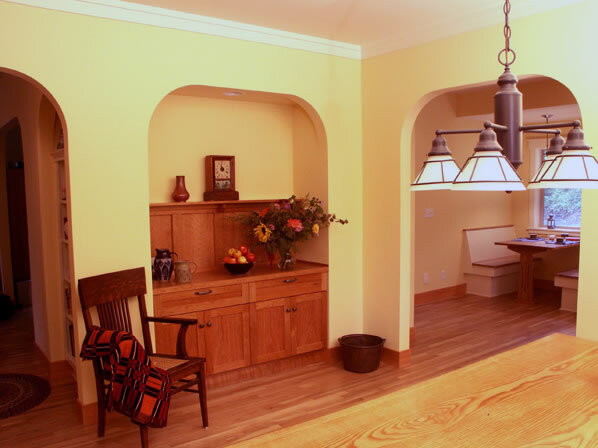 The dining room also has a view, a built–in space for a hutch, and a door that leads to the back yard. Double doors off the dining area lead to a study, and a mudroom with a nook for coats and boots is located at the end of a short hallway. As you see from the interior photos we display, there are arched openings between each of the living spaces. Upstairs, the laundry room is centrally located off of the hallway. 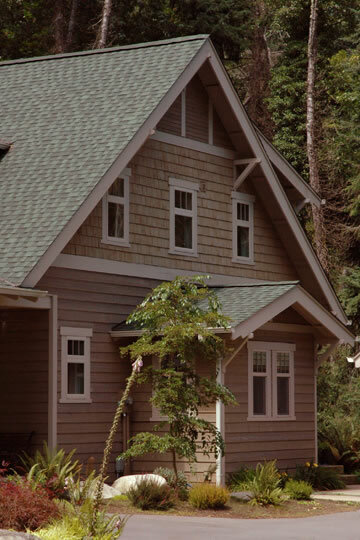 The master suite has a dormer that looks out to the front, and two walk–in closets that sit under the slope of the roof. The master bath has two vanity sinks, a tub, and a separate shower. The other two bedrooms on the upper floor share a long shed dormer for additional headroom and windows, and they share a full bath. 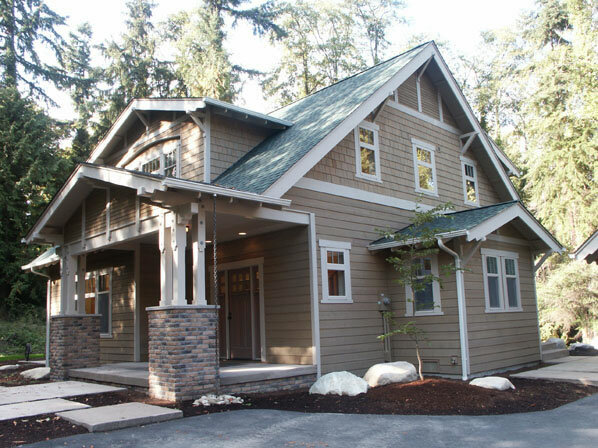 This charming Arts & Crafts cottage features Craftsman details throughout both the exterior and interior. 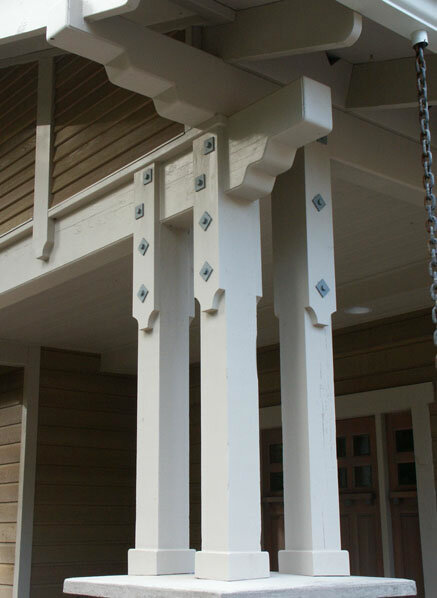 Decorative post and beam components grace the exterior, while interior features include arched openings, built–in cabinetry, and wood details. 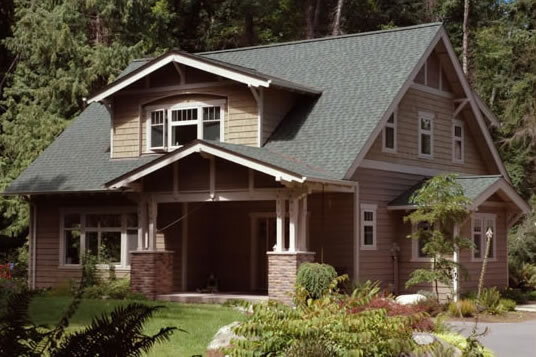 There's a study on the main level that would work equally well as an office or a guest room, and upstairs there's a master suite, two additional bedrooms, and a conveniently located laundry.